The third edition of TomorrowWorld is finally upon us and with a monster lineup, camping and extra activities, art installations, and 8 stages of incredible music, if you aren’t already in Georgia, you best get the hell on your way. With TomorrowWorld in just 5 short days, I wanted to highlight some of the artists that you could potentially see this year, as well as give you some of our content from the past two months that showcases what really makes TomorrowWorld special. Hailing from the fields of Belgium, TomorrowWorld takes its Belgian roots and provides an experience unlike any other. With camping and plenty of things to do in the campgrounds, you would already be almost satisfied before you even heard any music. Once inside, 8 stages of music from 12pm until 1am will give you plenty of options if you choose to follow your heart and your ears with experiencing some new music. Here are a few artists you could check out that you might not have heard before! 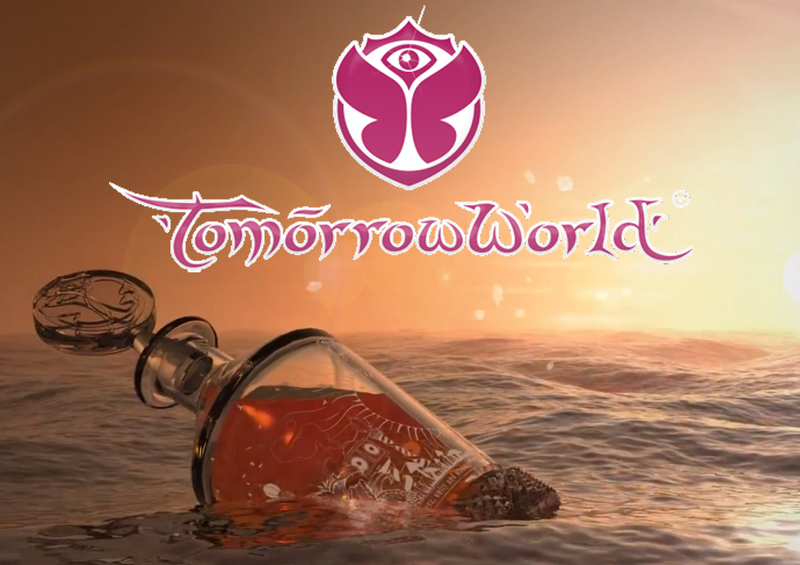 Wondering how you’ll survive TomorrowWorld? Have no fear as with any camping festival there are some good things to look out for and general “rules” to follow. I compiled my favorite 5 things just for all of you that you can look at here after you decide who you’ll be seeing! Now, TomorrowWorld has been going strong in the United States for the past three years, competing with mega festivals like EDC LV and Ultra Miami. Well, how has it been done you might ask? There are only so many names you can put on one lineup right, but really what helps to set these huge festivals apart is how the lineups change from year to year. You might want to see Hardwell every year, but he cannot play all three days for the entire time. You’re going to have to listen to other artists so why not check out how TomorrowWorld has changed the game and varied the lineup from year to year where some other festivals, really don’t. The past two years lineups don’t exactly affect you at this point, so why not look at who you’ll be seeing? We gave you four artists up there that I definitely recommend seeing, so why not take a look at the entire lineup to give you a little more information to make decisions about how you’ll be spending one of the best weekends of your life? 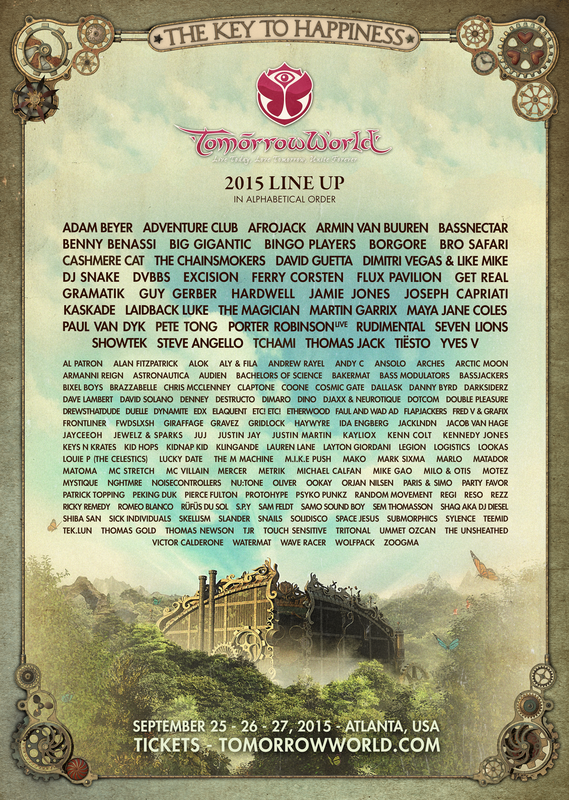 Here is the link for my article on Breaking Down the TomorrowWorld Lineup. While the music is the reason you left your humble abode for the hills of Georgia, music doesn’t run 24 hours a day and you need to relax and settle your mind and body at some point. This is where camping plays a HUGE part in your experience. If camping is a nightmare like it has been for some festivals this summer, you might return to your tent, if you can find it, frustrated, cold and needing to get up soon. It’s hard to sleep when the sun berates you at 7am, so I have for you some of the amenities that TomorrowWorld is providing to you, the campers. Take advantage of these and I’ll bet that your walk back to camp is much more relaxing and you might find yourself making friends and hanging out there in between sets! With all of this in mind, the most important thing is to have fun and enjoy the music you hear. Explore new artists and genres, step out of your comfort zone a little and know that everyone adventuring to TomorrowWorld is there to support you. Dance and have fun, laugh and smile, make friends, and most of all, enjoy the music. And don’t forget to let me know how it is. I’ll be there with you next year.